Dr. Sharon L. Snider, Developmental Optometrist, received her doctorate from the University of Alabama in Birmingham School of Optometry in 1983. She holds board certification with the College of Optometrists in Vision Development (COVD). 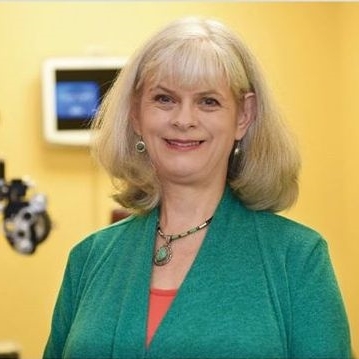 Her practice, Snider Therapy Centers, Inc., is unique, as it is the only practice in the state of Alabama specializing in the field of Neuro-Visual Rehabilitation. Therapies provided include developmental Vision Therapy, Sensory LearningTM, Neuro-optometric Rehabilitation, Auditory Integration Training, Ocular Phototherapy, Interactive Metronome, and Sports Vision Enhancement. Dr. Snider lectures frequently to educators, healthcare professionals, and parents on a variety of topics including learning-related visual disorders, traumatic brain injury, autistic spectrum disorders, and multisensory deficits. She and her husband own the Snider Therapy Centers with locations in Birmingham, Alabama; Dothan, Alabama; Huntsville, Alabama; and Columbus, Mississippi.